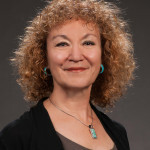 iane Castillo, PhD, is the Coordinator of the Women’s Stress Disorder Treatment Team at the New Mexico VA Health Care System in Albuquerque, and she has served in that position for the past 19 years. She is an Assistant Professor in the Psychiatry Department and an Associate Professor (Clinical) in the Psychology Department at the University of New Mexico. Dr. Castillo has developed and implemented programmatic, evidence-based assessments and treatments for women Veterans with PTSD. She has conducted research in the area of PTSD and is the Principal Investigator on a Department of Defense funded research study. In addition, she has published in the area of PTSD, Hispanic veterans, and ethics. Dr. Castillo is an Associate Editor for APA’s Psychological Trauma journal and guest editor of Behavioral Sciences journal. She was recently elected to the Board of Directors for the International Society for Traumatic Stress Studies. She is a trainer and consultant in the Prolonged Exposure for PTSD dissemination initiative in the VA through the National Center for PTSD. She is also active in the training of psychology interns and postdocs. She received her bachelor’s degree from the University of New Mexico and her PhD from the University of Iowa. According to Dr. Castillo, the best thing about being a trauma psychologist is having such a great impact on the lives of the Veterans she treats and seeing the tremendous improvements they make in their lives. Her advice for new trauma psychologists is to explore the wide variety of opportunities awaiting and available to you and try as many as you can. On a personal level, when she isn’t working, she loves hanging out with her family and her chocolate lab, Molly. She hikes and hopes to get her pilot’s license. She has fun playing with beads and making (not-so-bad-looking) pieces of jewelry, her most recent creative endeavor. 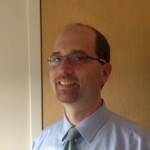 Brian P. Marx, PhD, is a Professor of Psychiatry at Boston University School of Medicine and staff psychologist at the National Center for PTSD, VA Boston Healthcare System. He graduated with Honors in Psychology from Boston University in 1989 and completed his PhD in Clinical Psychology from the University of Mississippi in 1996. He began his career as an assistant professor of psychology at Oklahoma State University (OSU) where he conducted research on the connection between childhood sexual abuse and adult sexual assault. After three years at OSU, Dr. Marx relocated to the department of psychology at Temple University in Philadelphia, where he continued his research on sexual revictimization as well as began another line of work with his collaborator Denise Sloan on the use of written disclosure protocols to treat trauma survivors. He also conducted research on the relation between the peritraumatic experience and the development of PTSD. In 2006, Dr. Marx joined the Behavioral Science Division of the National Center for PTSD in Boston, where he has continued his work on understanding the peritraumatic experience and developing treatments for PTSD. Dr. Marx’s additional research interests include the association between PTSD and functional impairment, PTSD and memory, and understanding factors that influence outcome trajectories following trauma exposure. He serves on the editorial board of several scientific journals and has served as a grant reviewer for the National Institute of Mental Health, Department of Defense and Department of Veterans Affairs. Dr. Marx has been Co-Investigator (Co-I) and Principle Investigator (PI) on multiple Department of Defense, Veterans Affairs, and NIMH-funded grants to examine neurocognitive and other risk factors associated with PTSD, suicidality, functional impairment, and other trauma-related outcomes. In addition, he has studied methods for the assessment and treatment of PTSD, and to explore risk and resilience factors associated with PTSD. He is site-PI on a DARPA funded project to develop novel methods of assessing and identifying at risk veterans and service members and delivering mental health interventions using mobile and other technologies. He is also Co-PI on a large registry of returning veterans with and without PTSD who are using VHA mental healthcare services. When not working, Dr. Marx enjoys spending time with his family, playing fetch with his dog, working out, going to the movies, trying new restaurants, and traveling.